The menu boasts an impressive selection of interesting appetizers, regular sushi favourites, more exciting sushi and rice/noodle mains. We had beef carpaccio with yuzu truffle dressing, sashimi salad (salmon, tuna and seabass), nasu dengaku (aubergine with miso paste), chicken gyoza and horenso goma-ae (poached spinach marinated with sweet ground sesame sauce). 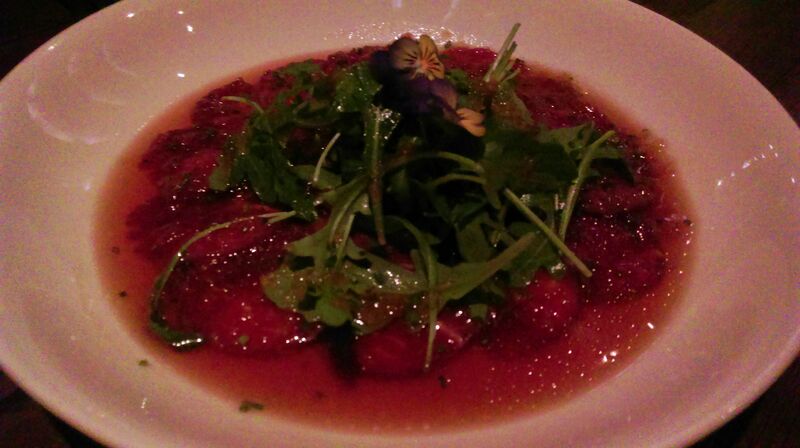 The carpaccio was pretty spectacular, and looked beautiful garnished with flowers. 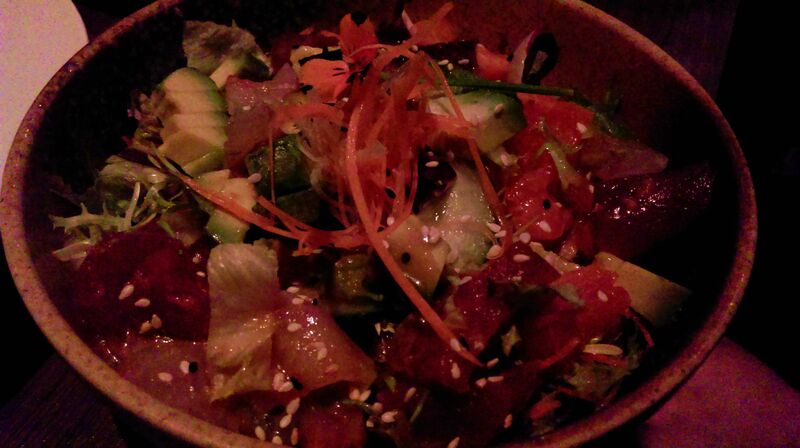 The sashimi salad was great, nasu dengaku very slightly tough (difficult to cut with chopsticks) but I really liked the miso paste. The gyoza were noted as being very hot (with respect to temperature rather than spice level), which in my books is no bad thing. The spinach was very nice where touched by sauce, otherwise a tad dry and boring. 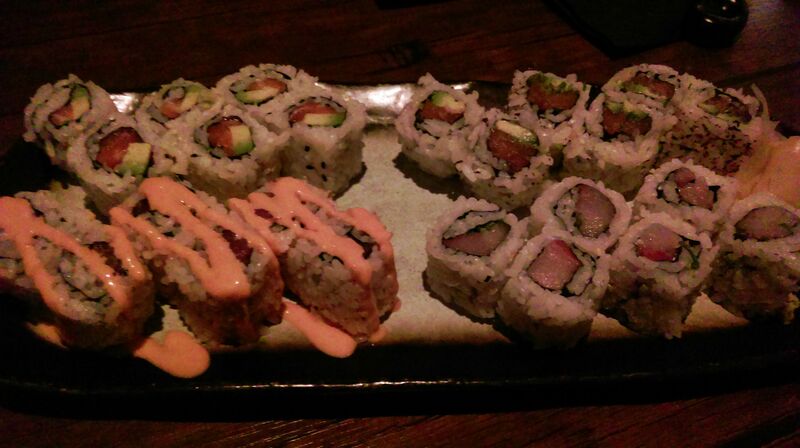 For the sushi course, we had yellow tail and spring onion, spicy tuna, florida (tuna and salmon with avocado, and salmon and avocado). I’m a spicy tuna fan so was glad that Maguro’s didn’t disappoint, but on the whole the sushi didn’t warrant nearly as much excitement as the appetizers. We paid £21 per head (including tip, with no alcohol). Service is fine but not spectacular. A good option if you’re in the area.